Claude Puel said he has "nothing to justify" and refused to be drawn on his position after Leicester secured a surprise 1-0 win at Chelsea. 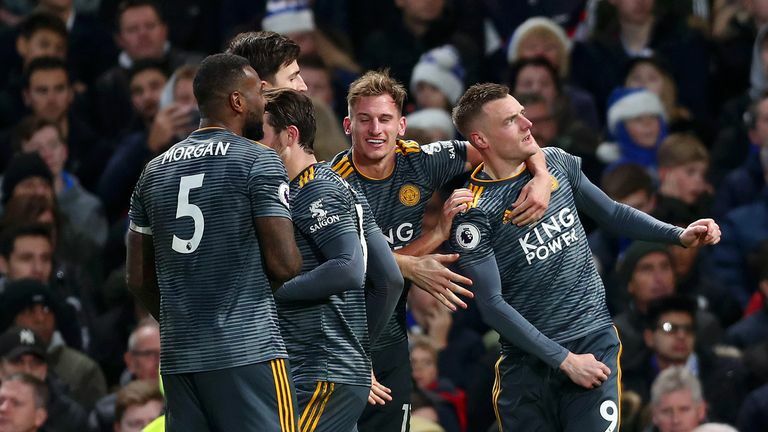 Puel was under scrutiny prior to the match, with reports suggesting the Foxes manager might be fighting for his job over the festive period. The Frenchman's team selection was questioned for Tuesday's Carabao Cup quarter-final with Manchester City, who advanced on penalties, as Jamie Vardy was rested to manage his return from a groin problem. Vardy proved his fitness with a sixth goal of the season as Leicester won at Chelsea for the first time since 2000. "I have nothing to justify," Puel said. "I am the manager of my team and try always to do my best to get the right balance to protect some players, get the best out of other players, and put a team on the pitch with the ability to win the game." Asked if the players' performance at Stamford Bridge showed he had their support, Puel said: "I have no comment about this. "I made my work. It's not all the time easy. But, all the time, it's important to analyse the games and not just to look at the ranking in the table. "If we analyse it since the beginning of the season, we've had fantastic games and performances sometimes without consistency." Chelsea dominated possession in the first half, with Eden Hazard hitting the bar, but struggled to assert themselves after Vardy's 51st-minute strike. 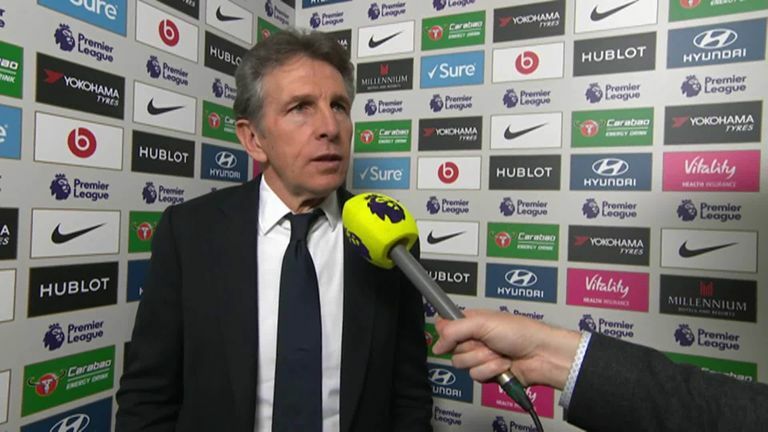 "If Chelsea didn't perform in all the game today, I think my players were responsible," said Puel. "We came back in the second half with better quality on the ball. "A fantastic move for the goal and I was happy for Jamie to finish and be clinical. We continued to defend like a team, with 11 players with the right mentality to keep this result."